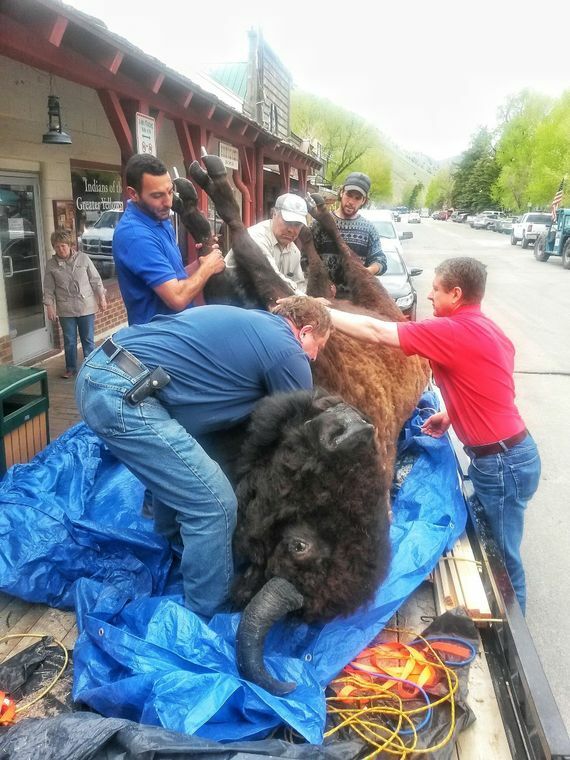 Passers-by and neighbors lend a hand to move a stuffed bison into the Jackson Hole Historical Society and Museum’s original space on Deloney Avenue. Clockwise from the bottom are taxidermist Mark Whitlock of Wildlife Creations, Dorian Darwiche, Teo Garcia and Christopher Stangel, all from Hotel Jackson, and Ken Struble of Ace Hardware. The old branch of the museum opens at 7 p.m. today with new exhibits about American Indians of the greater Yellowstone area.